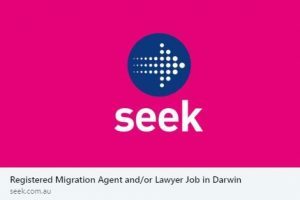 We are looking for an enthusiastic and talented RMA and/or lawyer based in Darwin for full-time employment. CBD office location with ocean views!! We are prepared to make a quick decision, if the right candidate applies! So contact us ASAP! You can view the full job ad on Seek here.